Thought of you today as John and I got a good start on the leaves in our backyard. Also spent some time getting the garden ready for winter. Thought about your earlier post about whether to leave the dead flowers until spring or trim them now. I have started trimming but will see how it goes. I’ll let you know how it works leaving the dead flowers and foliage until spring. 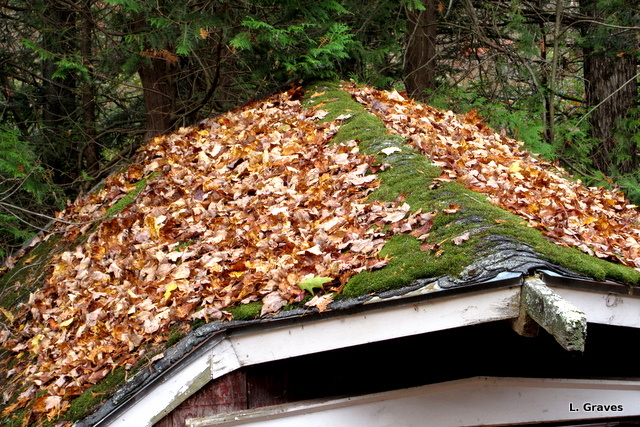 Love the mossy roof. Makes me think of a cottage from Hans Christian Anderson.